Rehab U Practice Solutions was founded in 2017 with a single mission: to radically change the way clinicians do business! Healthcare in the US is broken, with regulations and third party payers constantly changing the game while clinicians work to the point of burnout and apathy. Despite the uncertainty, there continues to be great opportunities for clinicians to impact more people and change more lives for the better. 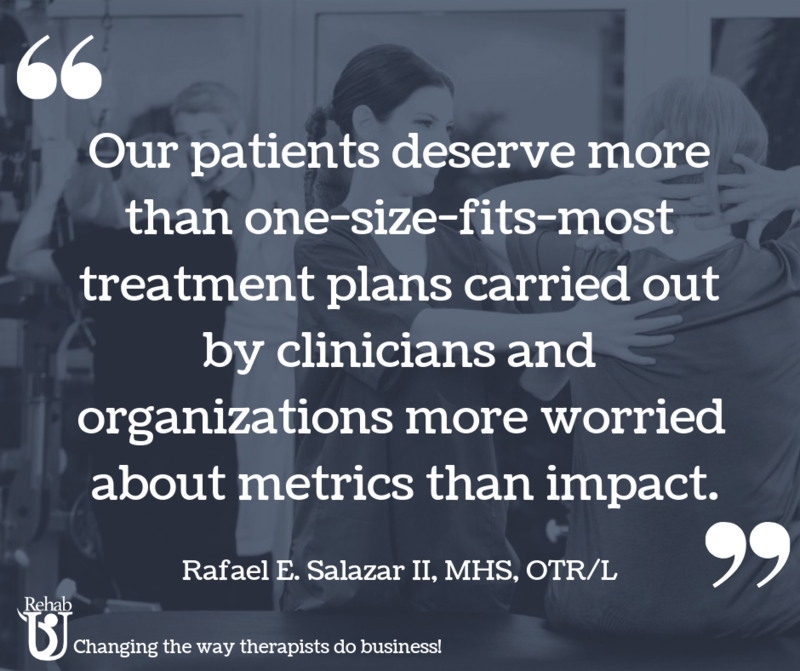 Given the right goals, strategies, and processes, clinicians and organizations can create uniquely awesome patient experiences that lead to better relationships, better outcomes, and more referrals. After all, healthcare is about one thing: the patient! Rehab U Practice Solutions offers educational & consulting services to private practices and healthcare organizations to help provide better clinical outcomes and patient experiences. We focus on building clinical knowledge and expertise, improving patient engagement, discovering niche market opportunities (strategic planning), and developing unique messaging and communication strategies to make sure that your patients and customers have a uniquely impactful experience. Are you tired of spinning your wheels in the world of traditional (conveyor-belt) healthcare? At Rehab U, we envision a world where both clinicians and patients are excited to come to work, the clinic, the hospital, wherever! A world where skilled, competent, and caring clinicians serve and care for engaged patients to promote better clinical outcomes, unmatched patient satisfaction, and lasting relationships.